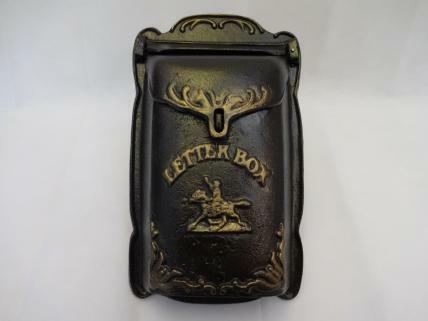 Cast iron letterbox with an antique-style bronze finish. Perfect for mounting on a wall outside your door or gate. Includes a hasp, so you can use a padlock for additional security. Features a decorative antler design. Beautiful piece of outdoor furniture.